I'll share with you the color scheme instead. What stinks is that David's Bridal no longer carries mermaid colors so V is going to wear mermaid & the bridal & grooms parties will wear guava. I'll make the flowers in mermaid too! I'm excited to see these colors in action. I've also decided my maid of honor will wear the same dress as the other girls. I'll just make her bouquet bigger. I feel that there would be too many colors going on if she was wearing a different colored dress. 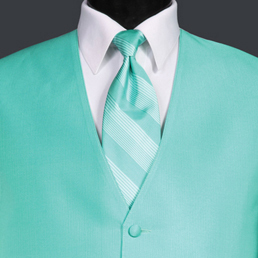 What were your wedding colors? How did you make them work together during your big day? Love those colors and I think they will look beautiful in the photos! Awesome colors!! Love the guava!! It's so bright and pretty! I don't think they offered that color when we went for my wedding. My bridesmaids had a dusty vintage-y blue (don't think they carry it anymore @ David's). I let them pick whatever dress they wanted all in same color. The guys did, we kept a normal black tux and bought two different patterned ties and alternated them on them. 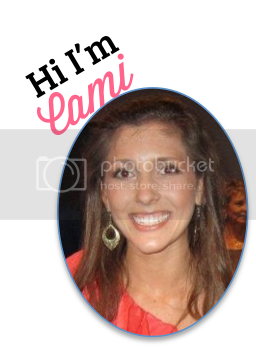 It's exciting to see everything coming together, Cami! So happy for you! Everything will be beautiful! love them!! these are similar to mine! Except mine is more of a hot pink and darker turquoise! I love the coral color!! can't wait to see the bridesmaid dresses! Those colors are so bright and happy! LOVE this color combo! It is going to look fabulous! Our girls wore David's Bridal Sangria, the boys wore teal shirts. My husband wore a sangria colored shirt. And a few days before the wedding my MOH told me her dress didn't fit--so we went to david's and picked out a really cute gold dress for her! All three of our colors were in their attire, and I think it looked fabulous! Very Pretty!! They go together perfectly! I love it! VERY you!! We had lapis as the bridesmaid/MOH dress colors and they coordinated with the groomsmen tux vests/ties in the same color. The men wore black tux's and I wore an ivory gown. We had bright pink, light pink, orange, and white gerbera daisies in the bouquets and table centerpieces then purple hydrangea as accents on the tables and in the church as well. All the ladies wore silver shoes and we used jewels as table scatters and purple table runners. We went for lots of colors and it all melded so well!! Those are great colors together and will look fab for a beach wedding! I agree I think throwing in another color for the made of honor would be too much. Pretty! We did blues and whites. Love them! I did grey/yellow for Spring...I feel like I missed it though, when is the big day? !